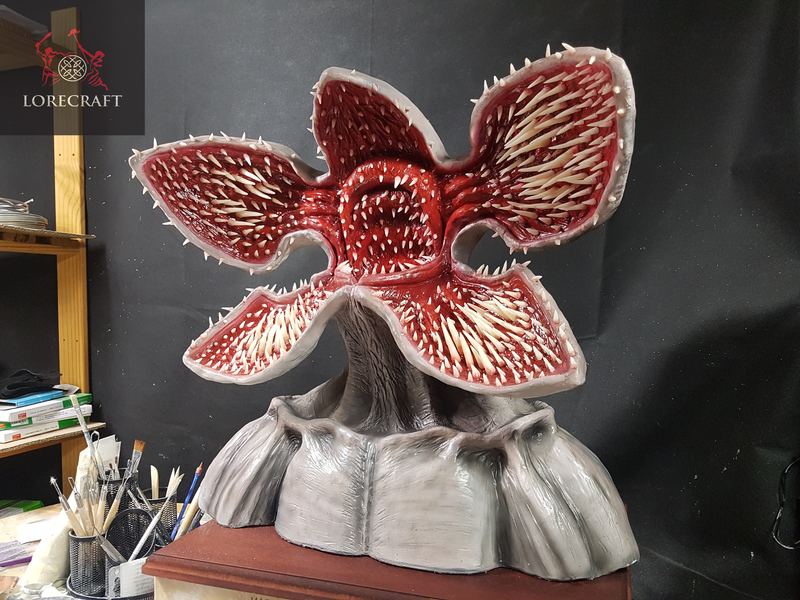 Monster Making Contest - Submission 2 of 3 - Stranger Things "Demogorgon"
This is my second submission for the contest- the Demogorgon from Netflix's "Stranger Things". The majority is viewable in the video itself, but it is an entirely handmade creation. 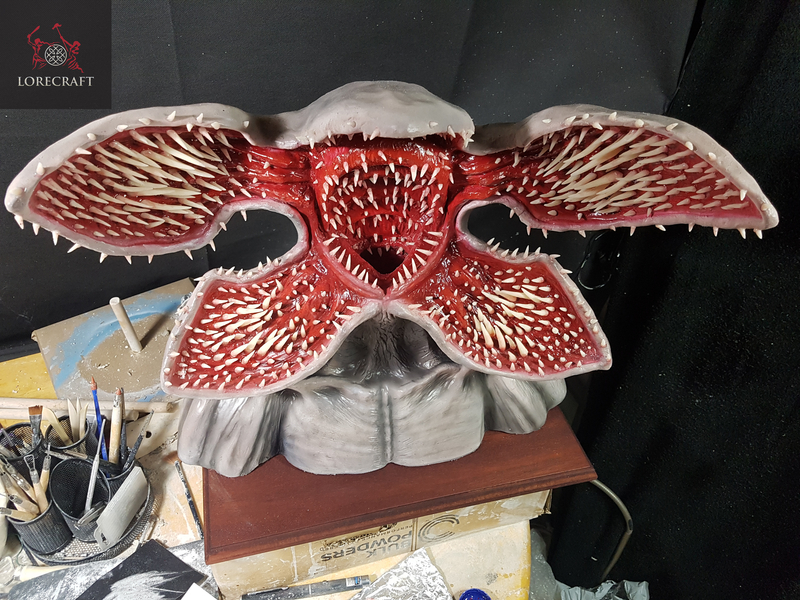 I made the teeth all by hand using translucent polymer clay (think it was fimo or premo, the sculpey knockoff they use here in the UK). The face "petals" I used an aluminium mesh to provide support, and anchored them in with armature wire. The core is styrofoam, paper, bubblewrap. The rest of the sculpt is primarily the same nylon reinforced, air drying clay I use, NewClay and Claydium. I affixed the teeth with resin, and he's painted with Vallejo airbrush paints. As with everything I've done up to this point, no moulds and no casting - all 100% original, 1 of a kind pieces. I would like to do moulds, but I often have to let people know that I am doing these in my apartment kitchen on a shoestring budget (if anyone is wondering why I do it the way I do). That, and the old addage, "if it isn't broken, don't fix it" seems to apply, as I've had good success using these materials, and it fits well for the videos I've been making. 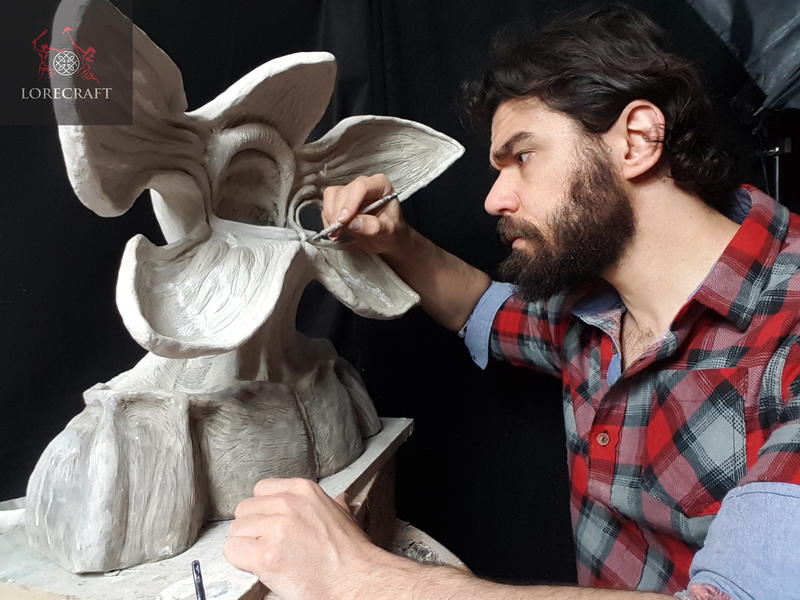 I also have little to no experience making moulds and doing casts (I am self taught at all this)... and I am not exactly enthusiastic about accidentally wrecking one of my sculptures by doing a novice mould job. Anyways, hope you all enjoyed the sculpt! 3rd submission coming up! First time seeing this timelapse video, and you ain't kiddin'... All that etching, and the TEETH! My gawd... LUL. Awesome job, dude. 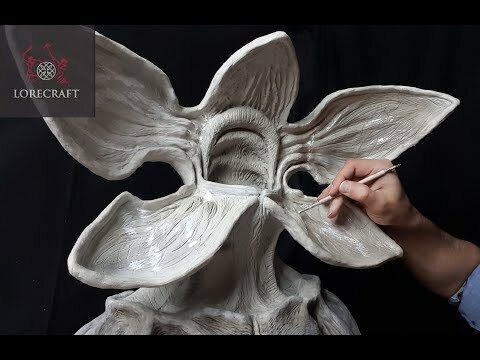 First, I must make mention of the Demogorgon's amazing and anatomically correct collarbone, it is so realistic but with a horrifying twist. There is so much dimension here that brings my eye to look at some new detail upon every glance at it. The most impressive to me has to be the detail that was done to the inside of the mouth. 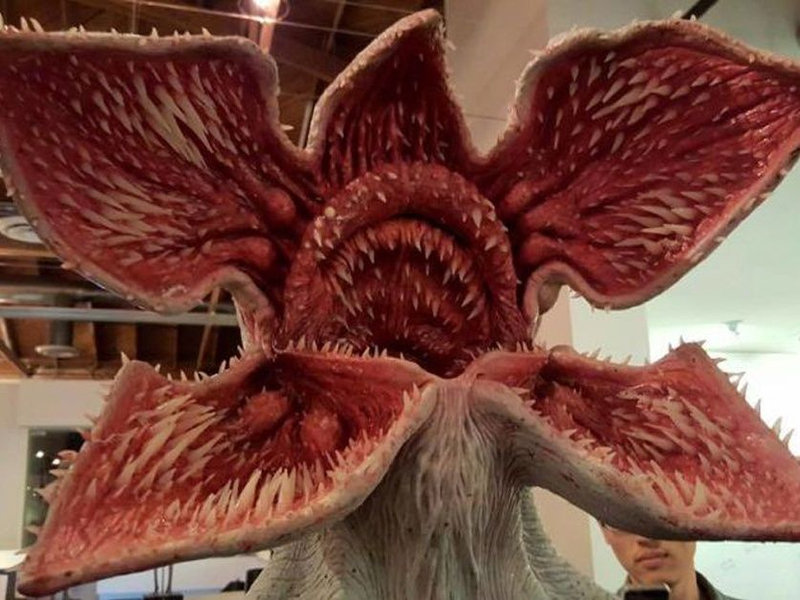 Of course, the number of teeth and the varying size and dimension of them are incredible, but what really gets me are the folds of the mouth and throat. 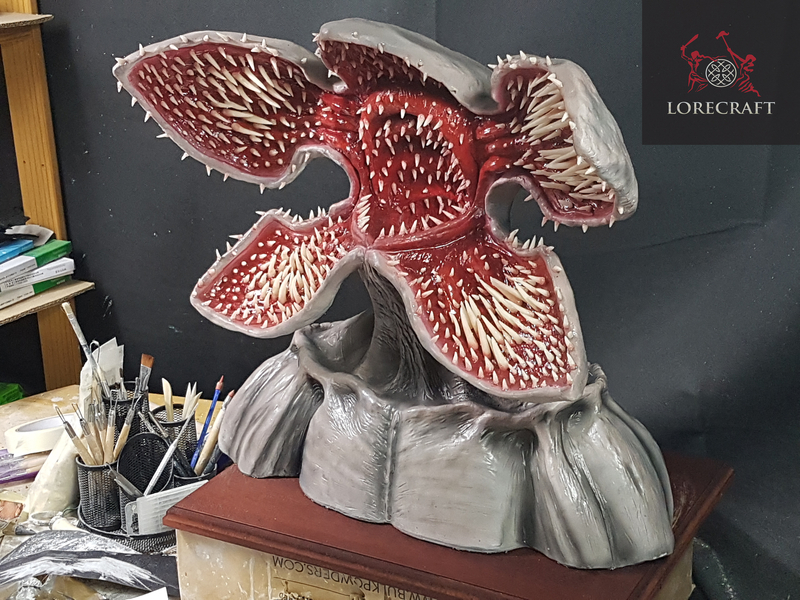 It seems to be that every muscle was noted here and then complemented by a glossy finish to really make the mouth look as realistic as possible. The real question here is....how many teeth are there? A magnificent beast for sure. Gosh, I must've made hundreds. Definitely more than a 100. Different sizes, shapes. The primary version I used as a guide was the animatronic version they used in the show (pictured below). That's primary photograph I used as an example to work from.